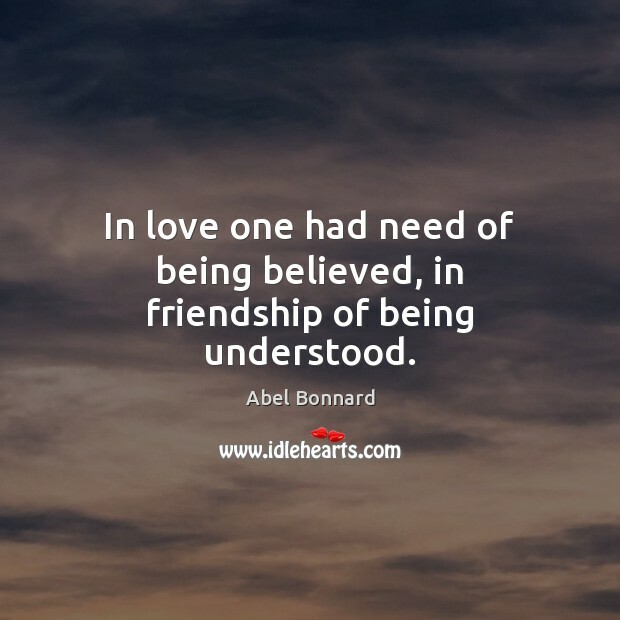 Enjoy the best inspirational, motivational, positive, funny and famous quotes by Abel Bonnard. Use words and picture quotations to push forward and inspire you keep going in life! 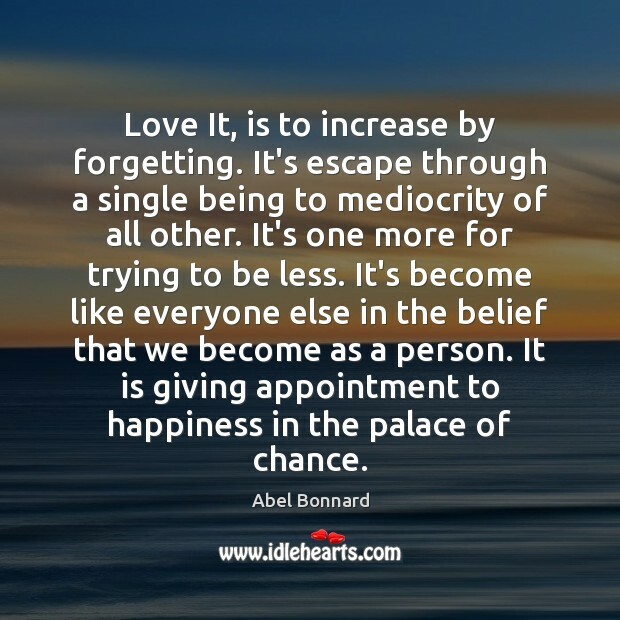 Love It, is to increase by forgetting. It's escape through a single being to mediocrity of all other. It's one more for trying to be less. It's become like everyone else in the belief that we become as a person. It is giving appointment to happiness in the palace of chance. 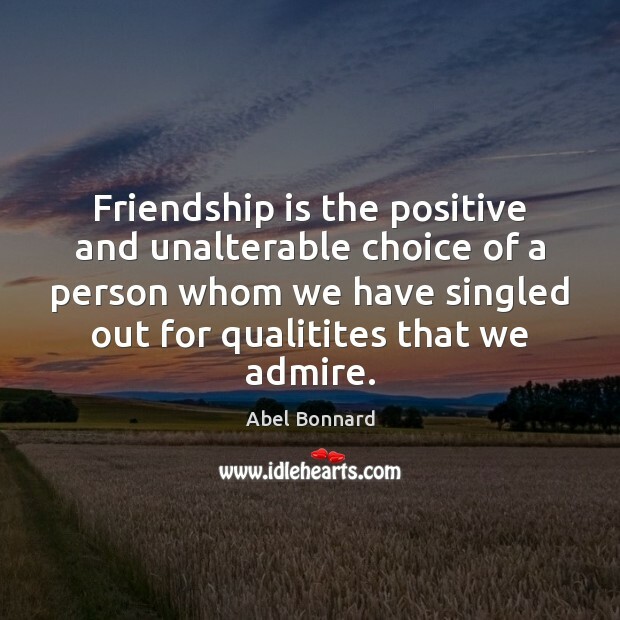 Friendship is the positive and unalterable choice of a person whom we have singled out for qualitites that we admire. In love one had need of being believed, in friendship of being understood.